Earlier, Turkish officials and witnesses said two suicide bombers opened fire before blowing themselves up at the entrance of the airport. The suspects detonated their explosives just before the X-ray security check at the international terminal, a Turkish official said. Police fired shots to try to “neutralize” the suspects, an official added. Police set up a perimeter around the site, television images showed. The airport is Turkey’s biggest and Europe’s third-busiest. After the attack, scheduled flights were not allowed to take off from Ataturk airport, and passengers were transferred to hotels, a Turkish airlines official said. However, the official said planes in the air will be allowed to land at the airport. Meanwhile, US Attorney General Loretta Lynch said on Tuesday she is awaiting a briefing on the blast at the airport in Istanbul, Turkey. “I’m awaiting a briefing on that matter right now … certainly we will be looking into it,” Lynch told reporters at a press conference in Phoenix, Arizona. Turkey has been hit by a string of deadly attacks in the past year, blamed on both Kurdish rebels and I.S.I.S militant group. Giving the nature of the bombings, similar to the Zaventem Brussels airport bombing, on 03/22/2016, the civilian strategic “soft target” and the “Modus operandi” it seems more likely that the Islamic State is behind the attack . Indeed Dogan News Agency cited police sources as saying: “ISIS is behind the Attack” at Ataturk Airport. A Turkish official, however, said it was too early to confirm any links when asked about the Dogan News Agency report (see also – ISIS’ Payback time ). The attack was carried out on the day that Turkey signed a reconciliation accord with Israel over the Mavi Marmara dispute and apologised to Russia over shooting down a Russian fighter jet on 11/22/2015, in an effort to stabilised its fragile situation in the Middle East. Both countries are not Muslim powers and both are considered as ‘infidels’ enemies of ISIS . The Ataturk bombings are a major blow to the aviation and tourism industry in Turkey . 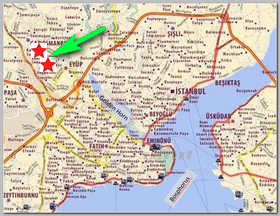 ** The three men who carried out Tuesday’s deadly attack on Istanbul airport were of Russian, Uzbek and Kyrgyz nationality, Turkish media and officials said on Thursday 06/30/2016..They came from Raqqa, the Islamic State’s capital (see – The Turkish double play ) . 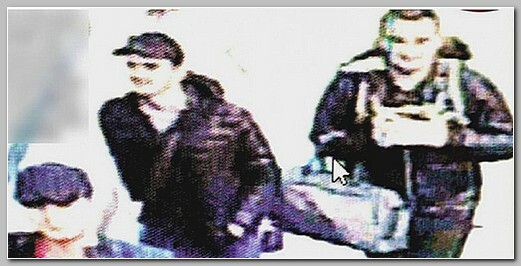 The pro-government Yeni Safak newspaper said the Russian bomber was from Dagestan, which borders Chechnya, The Kyrgyz security service declined to comment, while the Uzbek security service could not immediately be reached..
Yeni Safak said the organiser of the attack was suspected to be a man called Akhmed Chatayev, of Chechen origin. Chatayev is identified on a United Nations sanctions list as a leader in I.S.I.S responsible for training Russian-speaking militants, and as wanted by Russian authorities. The Hurriyet newspaper named one of the attackers as Osman Vadinov, also Chechen, and said he had come from Raqqa, the heart of ISIS-controlled territory in Syria. Nine suspected militants, thought to have been in contact with ISIS members in Syria, were meanwhile detained in the dawn raids in four districts of Izmir, the news agency said. It said they were accused of financing, recruiting and providing logistical support to the extremist group. During an operation in Georgia, in the Caucasus, on 08/29/2012, known as the Lopota Incident, at least 14 people were killed and at least 6 wounded in a firefight, members of a mysterious armed group . On 09/08/2012, a Akhmed Chatayev, a Russian citizen of Chechen ethnicity holding a refugee status in Austria after he fled Chechnya in 2004 , was arrested. Akhmed Chatayev was put on trial for illegal weapon possession but protests his innocence, saying he was actually a negotiator for the government and that he was carrying no arms; he was later acquitted and released. The Chechen warlord has risen to become an ISIS commander, with at least 130 militants at his disposal, with security sources claiming he was creating terror cells to be sent into Russia.